Yasiel Puig broke open a tight game with a three-run homer in sixth inning and it proved to be all the Los Angeles Dodgers needed to return to the World Series. 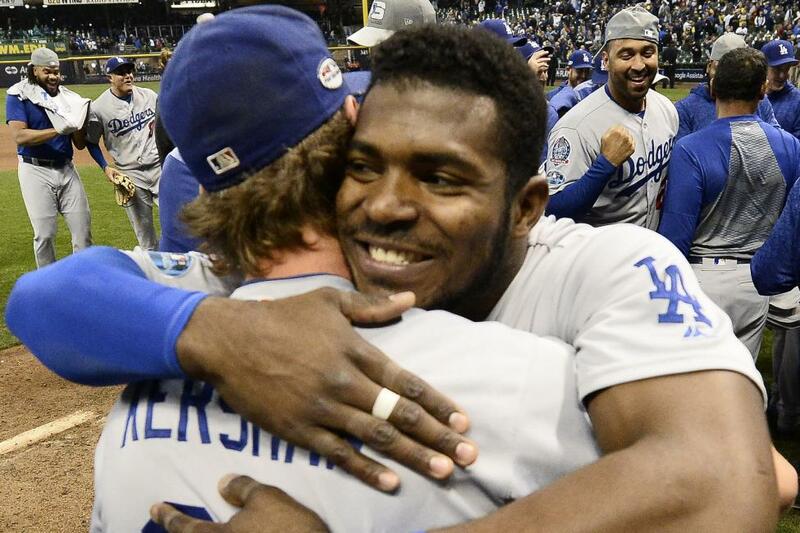 Thanks mainly to the heroics of Puig, the visiting Dodgers overwhelmed the Milwaukee Brewers 5-1 in Game 7 of the NL Championship Series and move on to the face the Boston Red Sox. Puig, however, only served up the game's biggest hit. The Dodgers were also assisted by ace Clayton Kershaw, who came in to close the victory, and outfielder Cody Bellinger, who robbed Milwaukee's Christian Yelich with a remarkable catch of a hard line drive in the fifth. In the end, the Dodgers had captured their 23rd pennant, tied with the San Francisco Giants for most in the National League. Game 1 of the World Series is Tuesday night at Fenway Park. Yelich belted a solo shot off Walker Buehler to give the Brewers a 1-0 advantage, but all Dodgers after that. Buehler allowed six hits in 4 2/3 innings. The loss ended a magical run for Milwaukee, which was 5 1/2 games out of the NL Central lead on Aug. 28.